The vast majority of musicians in The Cory Band are passionate amateurs who devote a considerable amount of their free time to perfecting every piece they perform. The band rehearses twice a week in Treorchy and combines a wealth of diverse experience to achieve a superb standard in every concert. Some players have been involved for decades, others for a much shorter time, but everyone brings a dedication and an enthusiasm to playing in and performing with the band that makes it such a formidable and successful musical tour de force. Cory Band is a wonderfully diverse group of musicians, from across the UK, who come together to offer audiences a spectacular range of Brass Band Music. Every band member makes a highly committed and significant contribution. This page lists all the Cory Band Members and profiles a select few of the band; focusing on what motivates them to give their time and play their music, highlighting their own and reflecting their colleague’s views on what they get from the experience and what Cory offers, both to concert audiences and in its professional workshops. Philip was appointed Musical Director of Cory Band in 2012 and brought with him a wealth of experience as a conductor, composer and tenor horn player. He took part in the Brass Final of the BBC’s Young Musician of the Year in 1991 and following a Master’s Degree in Composition, went on to enjoy a very successful performing career. 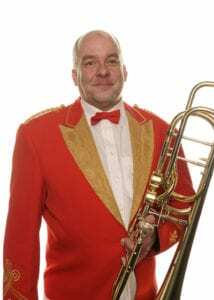 Philip has won wide acclaim for his entertaining concert performances, with one Cory Band member dubbing him a “raconteur” who successfully addresses and engages the audience both in performance and during the interval. Philip describes Cory’s performances as like a fabulous journey from one unique destination to another – whether gloriously vibrant or exquisitely tranquil – you just need to sit back and enjoy the ride. Gareth is from Durham in the North East of England – a self-confessed Sunderland AFC supporter “even though they lose most matches!” He is studying at the Royal Welsh College of Music and Drama in Cardiff, having first picked up the cornet aged only six. 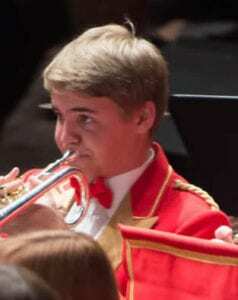 In September 2014, reconnecting with Welsh ancestry, Gareth commenced his studies at the Royal Welsh College of Music and Drama and was immediately accepted into the Cory Band. It all started for Helen in the summer of 1975, when she first picked up a cornet. Since then she has established herself as one of the band world’s finest players. “Times are very different now, but when I was growing up girls didn’t play in the ‘top’ brass bands so there was always a ceiling on what I could hope to achieve.” Well, look at you now, Helen! Amongst Helen’s many achievements and accolades in the world of brass, she was the first (and still only) female principal cornet to win the oldest competition, the British Open, in 1996 with the Marple Band from Greater Manchester, where she grew up. On that day she also won the award for the Best Soloist, a feat she repeated 20 years later with the Cory Band, now on flugel horn. 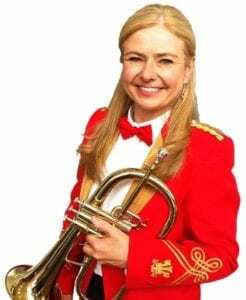 Helen was Flugel Horn Soloist with the famous Foden’s Band from Sandbach in Cheshire for over 15 years from 1999, winning many competitions, including the elusive ‘Double’ of both British Open and Nationals in 2012. In 2015 Helen, along with her husband Glyn who plays principal euphonium, relocated from North West England to the South Wales Valleys to join the Cory Band, and now splits her time between working for Kapitol Promotions at the Brass Band Players Registry and involvement with the Cory Academy. Since arriving at Cory, Helen has helped the band to the unprecedented Grand Slam of 2016, winning Best Soloist awards at both Autumn majors – the Open and the Nationals. Andrew began to play the Bass Trombone at St. Cenydd Comprehensive School under the watchful eye of ex Joe Loss Bass Trombonist, Phillip Dando. Andrew’s natural ability and Phillip’s expert teaching combined well and quick progress followed. At the age of 13, Andrew joined the BTM Band. Two years later, he entered the National Youth Brass Band of Wales and made such remarkable progress that he was awarded the Norman’s Prize for the player showing the most promise (in a band that contained many future professional players). Andrew enjoyed many concert and contest successes with BTM and also had a short period helping out at the Sun Life Band. All this came to a halt in 1994, when he completely gave up playing in order to concentrate on developing his career in Insurance Risk Assessment. Having done that, he returned to banding in 1998 by joining the ‘Just Rentals’ Cory Band and hasn’t looked back! 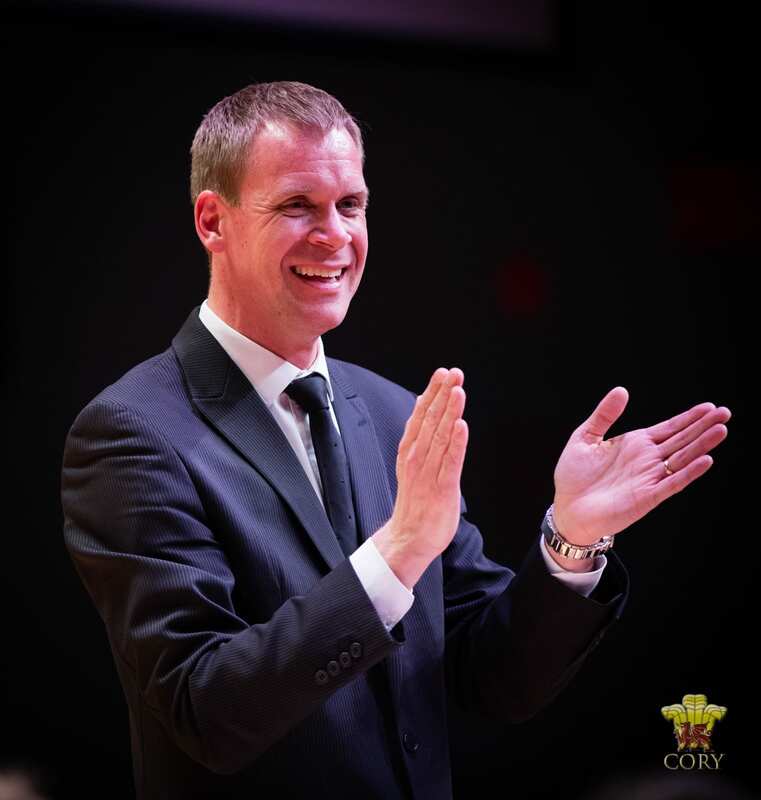 His skills & experience are varied and wide-ranging and as well as his Cory commitments, he is Bass Trombonist with the Byron Jones Big Band and is in demand at many provincial orchestras. Cory Band Competes in both National and International Brass Band Competitions. Pick up our latest CD, scour the archives of our back catalogue, or help promote or support the Cory brand with our clothing and merchandise selection.